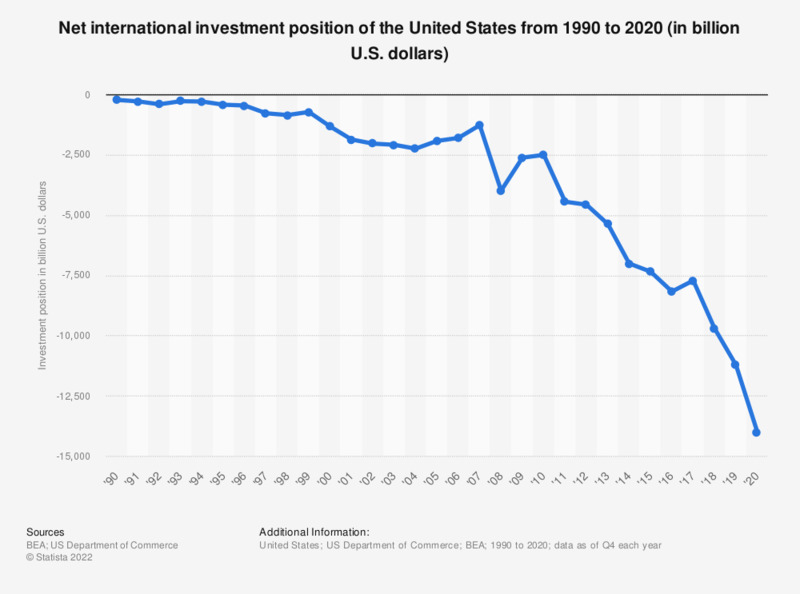 This graph displays the net international investment position of the United States from 1990 to 2017. The net international investment position of the U.S. amounted to -7.73 trillion U.S. dollars in 2017. The difference between a country's external financial assets and liabilities is the net international investment position (NIIP). A country's international investment position (IIP) is a financial statement setting out the value and composition of that country's external financial assets and liabilities. International Investment Position = domestically owned foreign assets - foreign owned domestic assets.